We are very much looking forward to experimenting with a new way of shaping our Sunday gatherings on Sunday 17 March. We will be looking to "meet in the round" with a view to seeing whether this is a way we can gather in the future. 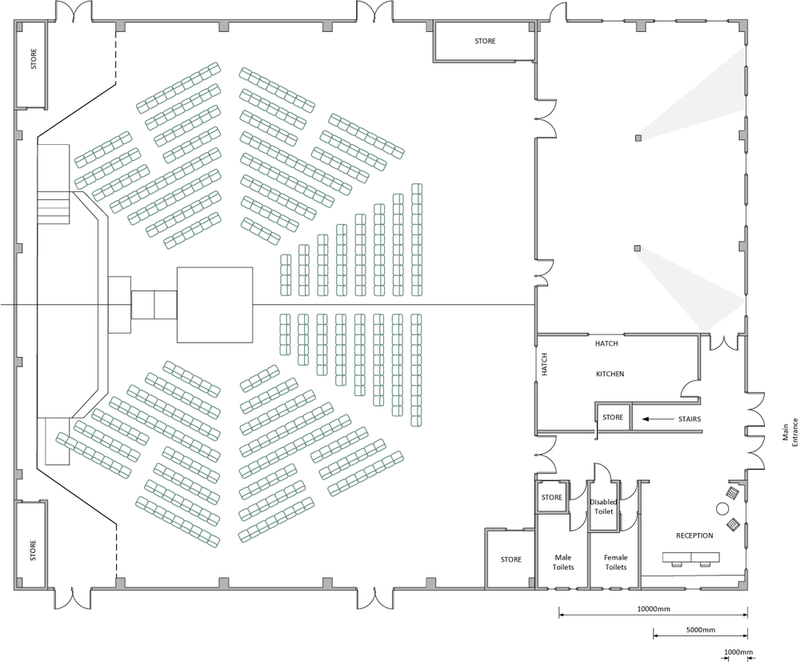 We've attached a diagram that may help you to visualise what this might look like on the day. For your information the stage is shown to the left. Why are we doing it? The premise is that we are a community of believers worshipping together. We want to reflect that as much as possible and have a culture in our gatherings that feels holistic and inclusive rather than any hint of performance feel. We are all in the band! There is more complexity to this than there might appear so we are asking you to come along and get a feel for it, have some grace as we deal with a sharp learning curve and provide any feedback you may have. The band are preparing for a different experience and there is already some excitement about. It was with great sadness that earlier this summer, we heard of the death of Barney Coombs after his long battle with illness. Those of us who had the privilege of knowing Barney for over 40 years will greatly miss him. He is regarded as a highly-honoured spiritual leader and the father-figure of Salt and Light, the movement of which we have been a part since this church began. His influence on the early days of our church here in the East Midlands was considerable and we owe him a huge debt for the foundations that he helped us to lay. He had such a large presence that continually steered us towards a godly life; he inspired us to love God with all our hearts. Barney began his ministry as a Baptist pastor at Basingstoke Baptist Church, and led it into a radical time of renewal through the 1970s. It became a highly influential church and Barney’s leadership was respected both nationally and internationally. He was admired for his courageous leadership in a time of radical spiritual change in the nation; he was highly regarded for his wisdom, insights and personal integrity. His genuine love of the Lord, of the Bible and of the Church, laid a foundation in the lives of many leaders; he became a significant ministry with great influence in many countries. 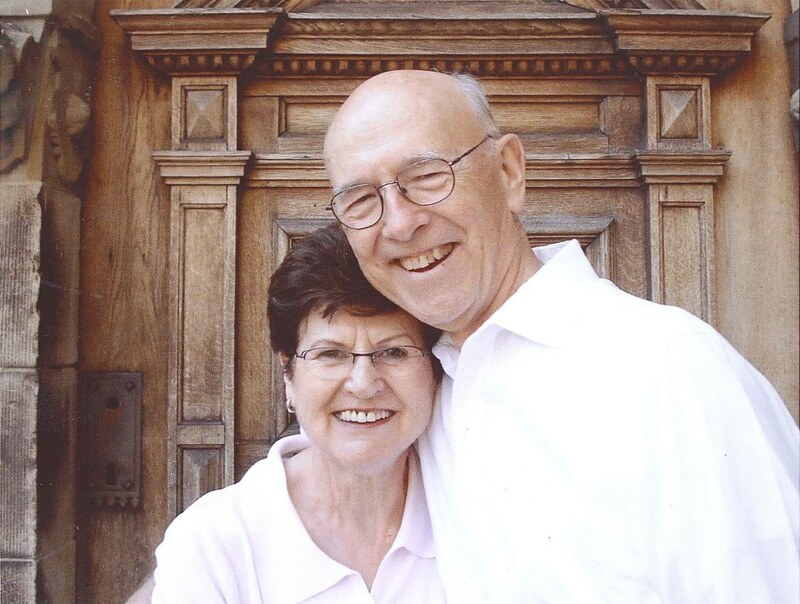 He moved to Vancouver in the late 1970s, but continued to give an apostolic oversight of Salt and Light Churches in the UK and many other parts of the world. He has left a tremendous legacy in many of us who have followed him into church leadership and ministry; we are eternally grateful to God for the privilege of knowing him. Our love and prayers go to his wife Janette and the family at this time. A Thanksgiving Service for him will take place at the King’s Centre, Oxford on Sunday afternoon 5.00pm 30th Sept. It is an open invitation to anyone who would like to attend. The successful applicant will be an experienced teaching practitioner with knowledge of the primary curriculum. The post is open to applicants for part time (0.5) or full time employment. Easter is a celebration of the resurrection of Jesus. Easter week starts on Palm Sunday when Jesus rode into Jerusalem on a colt to fulfil old stories about who the ‘Messiah’, was (similar to the stories around his birth). Throughout the Easter week there is lots of ways to remember the dramatic events that lead to Jesus’ death on the cross on Good Friday and His ressurection three days later on Easter Sunday. The good news of the resurrection of Jesus isn't an April Fool! So come along and join us to hear the Easter story and celebrate together with music, stories and fun for all ages. We are seeking a Head of Finance with a living Christian faith, who is able to provide significant financial acumen and support to the leadership team, yet also happy to work in the detail at the coalface. He or she will be able to relate to church members, staff, and leaders from across the region and share our passion to make Jesus known. This is a rare opportunity to lead an exciting, growing Christian led charity, with a current team of 12 employees and up to 100 volunteers with an annual turnover of £300K. Upbeat Communities is a Christian inspired charity which has been working in Derby and Derbyshire since 2005, to welcome and empower refugees and raise awareness in the wider community. Our growth has been circa 300% in the last three years. Our vision is to “help strangers become neighbours”. We achieve this by focusing activities on three key areas: Welcome, Empowerment, and Awareness Raising. Mark Mumford shares the news from the recent family forum.